1.Aluminum alloy Fishing Pliers, skid proof effort. 2.With the ring cord, don’t worry about the fishing gripper dropping up. 3.Hook and wristband for good portability. 4.A fishing gripper for outdoor fishing activity, useful accessory for fishing. 3.Equipped with lanyard and sheath, easy to store and transport. 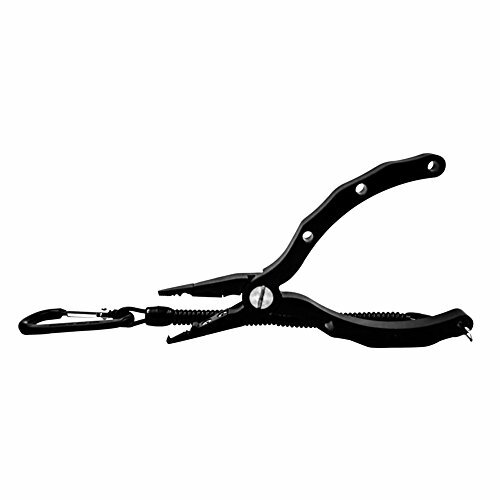 5.The pliers have comfortable, ergonomic handles that are spring loaded for easy one handed use.